What’s the Different and Which is Better ? Laminate floors are made of several layers of durable materials. The bottom layer is called the stabilizing layer which is designed to resist moisture. This layer is then topped with synthetic fiberboards for strength. A photographic layer goes above the fiberboards, creating the design. Everything is then topped with a clear finish of melamine resin. Hardwood floors are harvested from trees, formed into planks, and then sanded down to become smooth. They are also available in a variety of cuts and sizes and come from countless wood species. This flooring option is known for its organic grains and natural tones that can range from a pale beige to a deep bronze. How do these two materials compare in categories like appearance, cost, and resale value? Here’s how they measure up in each category. When it comes to looks, which material takes home the crown? Pros– These floors are looking better than ever as synthetic materials continue to improve in quality. As a result, modern laminate floors look even closer to hardwoods compared to their past versions. There are also countless imitation possibilities since the photographic layer can replicate other materials like stone, fabric, bamboo, and cork. Cons– When copying wood, this floor can still look not as genuine due to the regularity of the “wood grains” in the photographic layer. The glossy texture of the top layer can also look different from traditional hardwoods. Pros– They have a timeless appeal, unique organic grains, unexpected knots, and a natural texture that’s hard for laminate floors to fully copy. They can also take on different stains, finishes, and be coated with wax for an extra shine. If you choose a lighter species like white oak, you can also add some more interesting stains like red, blue, and even purple! Cons– They’re more easily scratched than laminate, therefore their beauty can be affected when not properly maintained. Some species are also more vulnerable to discoloration when exposed to the sun for long periods of time. The best material in looks: Hardwood. Your budget decides much about your design project. Which material is more affordable? The more you spend, the better-quality floors you’ll install. Low-end laminate installation can cost an easy $550, while high-end laminate floors can climb up to $7,000. However, the national average for laminate installation is reasonable at about $3,000. Overall, this floor is more expensive to buy and install. The stronger the wood, the more it will cost. Exotic woods also cost more than domestic woods. There are also added costs to finish, treat, and wax the floor as well. 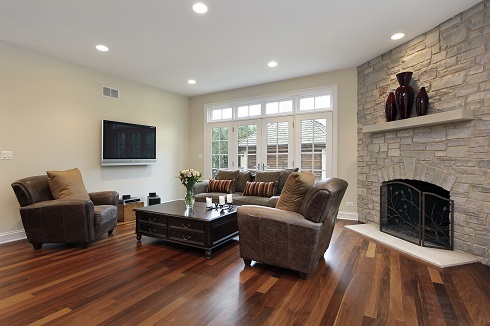 The average cost of installing hardwoods in a 1,000 square foot home is around $8,000. When it comes to household chores, which floor is easier to care for? Pros– It’s easy to keep these floors clean with a light vacuum since they don’t trap dust and allergens like carpets do. 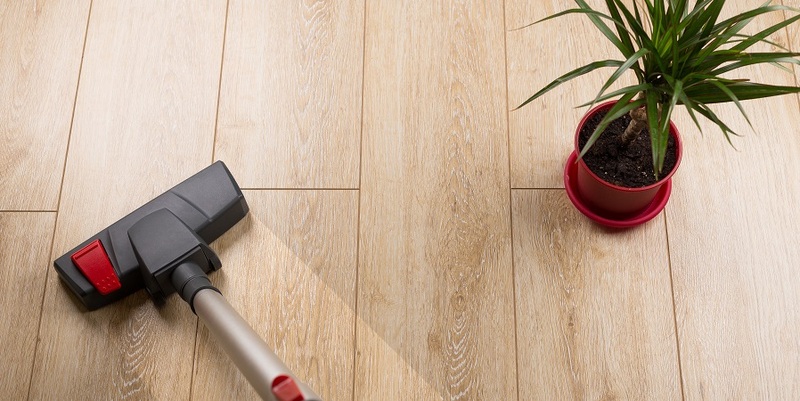 Laminate is also water-resistant, so it’s okay to mop them with water. In addition, laminate floors are less likely to fade or change their color from excessive sunlight. Cons– They don’t do well when standing water is left on their surface. Also, If they’re damaged, they can’t be sanded or refinished and must be replaced. Pros– These floors are easy to clean with regular light vacuuming, sweeping, and mopping with select cleaners. If they become overly scratched, they can usually be refinished to restore their former beauty. Cons– Hardwood floors can’t be mopped with just water due to their higher sensitivity to moisture, but instead must only be cleaned with specified products. To maintain your floor’s look, you’ll need to take extra care by using furniture pads to prevent scratches. Hardwoods also don’t do well with standing water. Certain species are also more likely to change their color after too much sun exposure. What does the installation process look like for each material? Pros– It can be installed below grade and can float over existing floors, making it more DIY-friendly. Laminate is easier to install because it’s usually prepared with tongue and grooves that snap together. It also comes prefinished, so there’s no need for a lengthy sanding and finishing process inside your home. A laminate floor can be glued over wood, concrete or placed over a cork or foam pad. Cons– After installation, these floors can have a strong smell because their synthetic materials that may emit VOCs, which are also known as Volatile Organic Compounds. If you’re making this a DIY project, make sure you have the know-how and the right tools. Cutting the planks to the right lengths will need precision cutting and measuring to make accurate lengths and edges. Pro– Hardwood floors can come prefinished to save you time, though the upfront costs will be higher. This kind of floor can also take on custom stains and finishes for some eye-catching looks! For DIY projects, tongue-and-groove hardwood planks make the job easier. Cons– They are organic, which means they shouldn’t be installed below grade. They’re also not made to float over existing floors. Hardwoods are usually harder to install for both professionals and DIYers, making this a job you should outsource, if possible. When hardwoods don’t come pre-finished, you can expect to take a day or two in a hotel while your contractors sand and finish your floors. The dust and odor of the finish will be strong and not safe to inhale. Which flooring can stand the test of time? Pros– The top layer of these floors is resistant to scratches, stains, and dents. This makes laminate ideal for busy lifestyles where there’s going to be heavy traffic and constant messes. Cons These floors are not immune to scratches and dents. Unlike hardwoods, whole planks must be uprooted and replaced to restore your floor since they can’t be refinished. With good care, most laminate floors can last for 15-25 years. However, lower quality brands may need to be replaced sooner. Pros– They can last at least 20 years with proper maintenance. If they become damaged, they can also be refinished. Harder woods will be tougher and will last longer and softer woods. There are even hardwoods that have survived for over 100 years in historic homes, so the possibility for a long life is great! Cons– These floors are organic, so they aren’t as resistant to scratches, stains, and dents as their laminate competitors. They can differ in durability depending on the species. Its strength can also increase after more expenses like finishing the wood, waxing, and with good maintenance. Unfinished hardwoods are more prone to moisture damage and warping. When the hygrometer’s needle makes an uptick, which floor is more prone to damage? Pros– The tough top layer can resist moisture well, which makes laminate a good material for rooms where spills are a possibility. Therefore, it’s a fine floor for your kitchen or bathroom. The better the quality materials you buy, the better job your floors will perform in this department. Since laminate floors are synthetic, they’re also less likely to have mold problems from moisture. Cons– They can still be damaged by standing water, which can make them warp. Proper maintenance and cleaning is a must to make the most of laminate’s moisture-resisting power. Pros– Some species can tolerate moisture better than others. Generally, the harder the wood, the more water resistant it is. For example, Brazilian Cherry ranks a 2820 on the Janka hardness scale, making it better at resisting moisture than its domestic counterpart, American Cherry, which scores a 950. 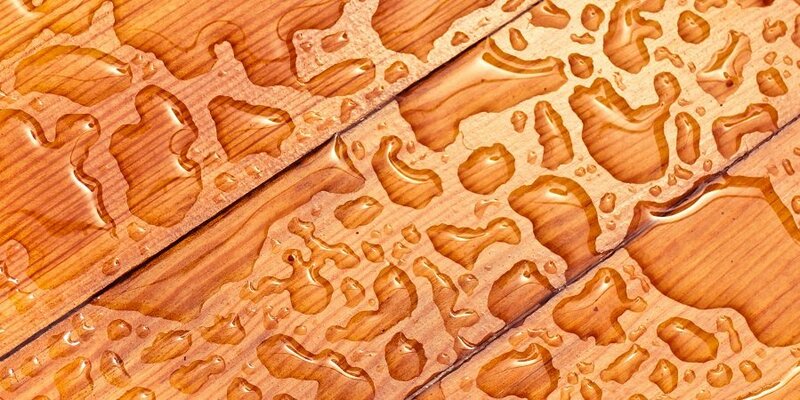 Regular care, finishing, and waxing can also protect your floors from water damage. Cons– They are organic, so they can grow mold if exposed to constant moisture. Unfinished wood is more likely to get moisture damage, whereas no hardwoods should be installed in the kitchen or bathroom due to the moisture levels. Which floor is the easiest to maintain for busy homeowners? Pros– They’re easy to clean and maintain. They can be mopped with water and generally don’t need any special cleaning solution. Keeping these floors clean will maximize their life. They also don’t need to be sanded, waxed, or refinished. Cons– These floors can get stained if juice and coffee spills are left on them for too long. If they get damaged, they can’t be refinished and must be fully replaced. Pros– These floors can be refinished many times during their life. Therefore, noticeable scratches and other imperfections can be reversed. There’s also no need to rip out floors and reinstall everything like with laminate floors. Cons– Refinishing your floors isn’t cheap. The average cost of refinishing hardwood floors is $1,700, but can be as low as $600 and as high as $3,500, depending on the quality and nature of the job. We need to be conscious about how our choices affect the environment. Which flooring is better for our planet? Pros– Since they’re made with recycled materials, they take some waste out of landfills. Current recycling technology also makes 85% of laminate floors recyclable. Cons– At this time, it’s hard to know all the ways synthetic floors can affect the environment. For example, the top layer is made of melamine and formaldehyde, which have been known to negatively affect the environment by emitting VOCs through off-gassing. Pros– Since hardwoods are made of organic materials, they are biodegradable. They rank among the few flooring choices that are environmentally friendly since they come directly from trees. Cons– Depending on the species and thickness of hardwoods, they can take years to decompose. For some perspective, a wooden chair can take up to 13 years to rot. Man’s best friends can sometimes mean trouble for floors. If you have a pet, which flooring should you choose? Pros– Pet nails are less likely scratch these floors. It’s also easy to clean pet hair from their smooth surface. These floors are more water resistant, so they’re better for puppies and kittens who are learning to be house trained. Cons– Pet waste can still make them smell, so you need to be mindful to clean up accidents right away. Pros– Waxed and finished hardwood floors fare well against nail scratches and pet waste. If pets damage them with nails and urine, the floor can be refinished. They are also smooth and easy to keep clean. Cons– These floors are more prone to damage from pet waste and scratches than laminate. Unfinished hardwood floors are not ideal for pets because they aren’t moisture-resistant and can absorb pet waste. A radiant heating system is cozy, especially in colder climates. Which material works better with it? This material can be used with radiant heating systems, but it must be specially made for radiant systems. Some laminate floors aren’t good conductors, so you need to check with the manufacturer before installation. Dense and thin boards are good for radiant heat, just make sure the boards aren’t too soft or thick. Choose wood that can adapt to moisture changes, like kiln-dried wood. As always, check with the product’s manufacturer before installing. Which floor will boost your home’s value? The maximum life is 25 years with the best quality materials and proper care. However, because of its lower cost, it doesn’t do much to add value to your home. 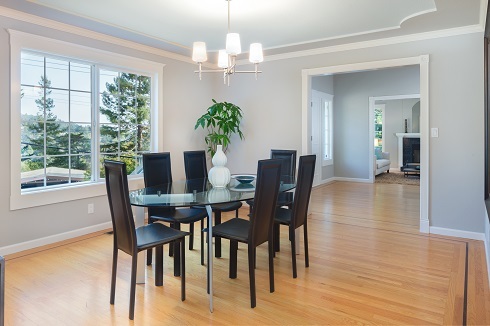 Prospective buyers still look to hardwoods as a standard of timeless quality. Because hardwood floors can last for generations, they raise your home’s value more than laminate floors. According to Time.com, hardwood floors boost your home’s resale value, referring to a study from that reveals that 54% of homebuyers would invest more in a home that has hardwoods. Which material is the best for your home? Ultimately, it depends on what you need and your lifestyle choices. Here are some pointers that can help you decide which floor is right for you. What is Laminate and Hardwood Floor Best For? If you’re seeking an alternative to hardwood but laminate doesn’t sound like the material for you, consider engineered wood or luxury vinyl. Both resemble true hardwood but each comes with its own benefits and disadvantages. To compare laminate and luxury vinyl or laminate and engineered wood, review our other Flooring Comparison Guides.